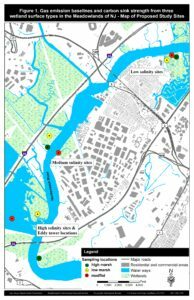 Due to climate change and restricted tidal flow from sea walls and dikes planned as part of a resilience project, increased emissions of N2O and CH4 may occur. 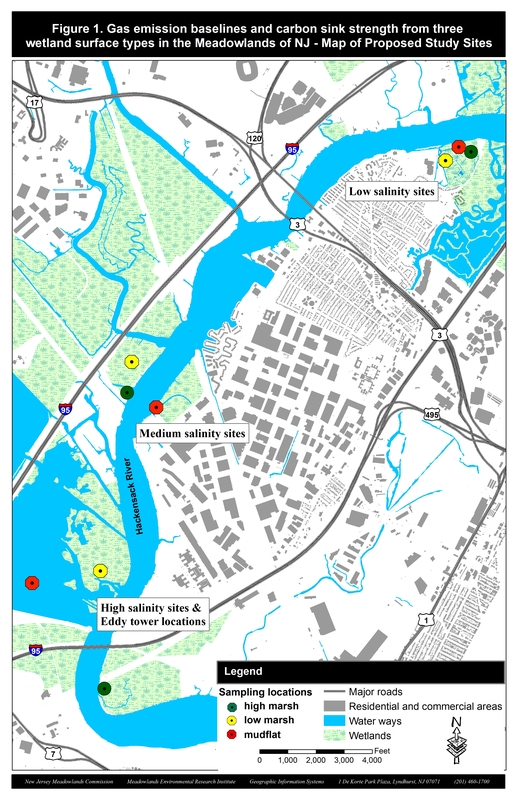 These factors along with the limited amount of fresh water flowing into the estuary from the upper Hackensack would then offset the reduction in radiative forcing currently attributed to carbon sequestration. 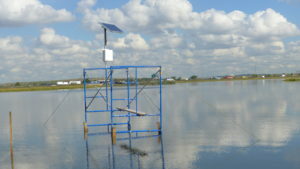 MERI’s gas emission baseline study to baseline the emissions of carbon dioxide, methane and nitrous oxide and assess the carbon sink strength of the Meadowlands ecosystems..
Outputs from this study will become the basis for developing strategies that will inform future enhancement and mitigation actions on introducing adaptability features into new resilience designs so that marshlands maintain their terrestrial carbon sequestration function and are not offset by emissions of CH4 and N2O as result of more frequent coastal storms and associated sea level rise. 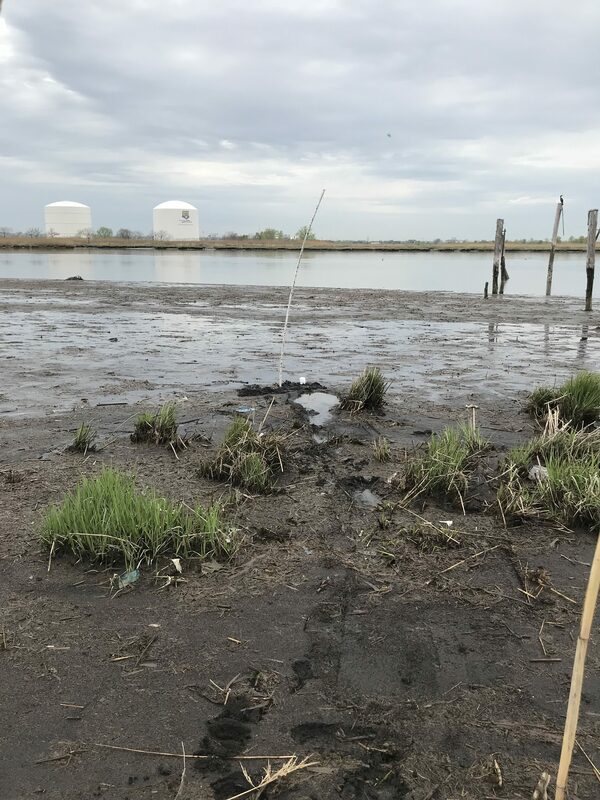 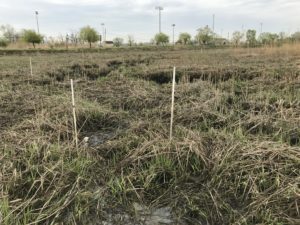 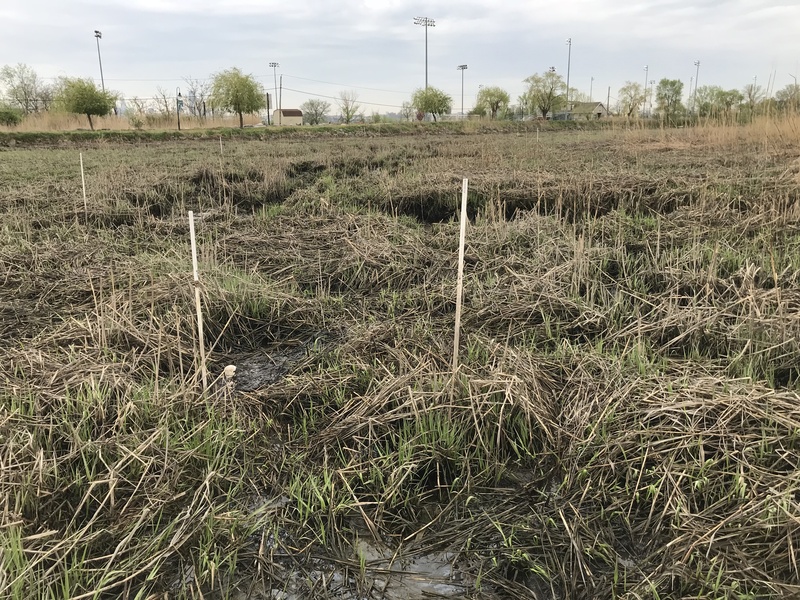 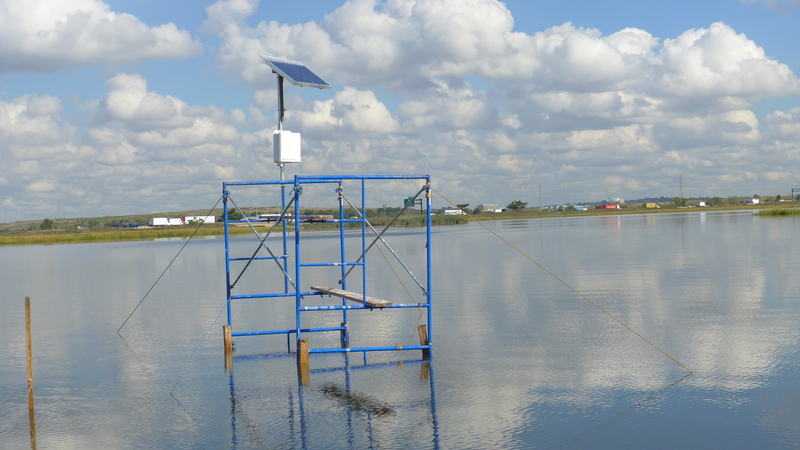 Results from this study will also be used for testing future sensitivity and adaptability of marshlands to climate and related global changes.